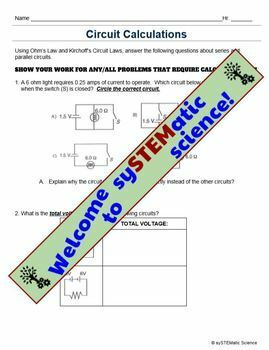 This packet can be used as review or reinforcement for electrical circuit calculations. 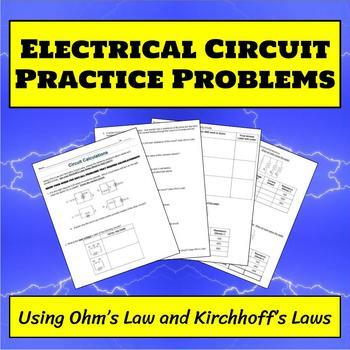 Students need knowledge of Ohm's law AND Kirchhoff's Laws to successfully complete this packet. 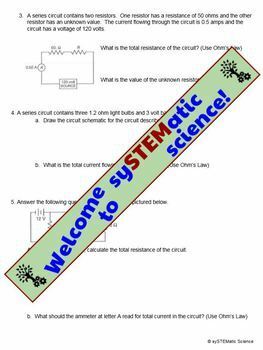 As students work through this packet they will apply the mathematical properties of Ohm's Law and Kirchhoff's laws to a variety of series, parallel, & combination circuits to calculate resistance, current, and voltage. Google Doc links provided if Google users wish to make an editable copy.